Although she has yet to announce, Republican Christine Jones would be a conservative force among a growing crowd of men in Arizona’s 5th congressional district. The former 2014 gubernatorial candidate and Vice President/General Counsel for GoDaddy is seriously considering a bid for the congressional seat that will be left open upon the retirement of Congressman Matt Salmon. Jones, who placed 3rd in the 2014 Republican Primary for governor, is no stranger to political campaigning. Not only would she bring extensive statewide campaign experience to the race against opponents lacking in the same depth, but she would also have the financial resources to wage a serious ground and media effort. On jobs and the economy, Jones is no stranger to private sector job creation. 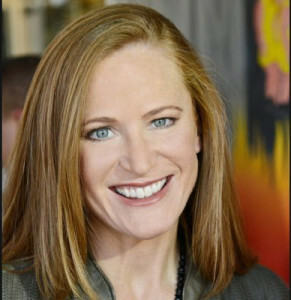 As Vice President at GoDaddy, she oversaw the creation of 4,000 jobs during her service to the internet giant. During her gubernatorial campaign she called for a focus on the “5 T’s” – technology, training, transportation, tourism and taxation. Her plan would have moved Arizona’s economy forward with an emphasis on the economic drivers taking Arizona into the next century. The plan would rely heavily on an education system that creates a world-class workforce that focuses on STEM subjects – science, technology, engineering and mathematics. To spur economic growth, Jones has proposed cutting taxes, streamlining and downsizing government and reducing or eliminating regulatory and legal reforms in order to create an environment that encourages private investment and job growth. One issue extremely important to Christine Jones is education. In November, 2015, she was appointed as interim CEO of charter school giant, Great Hearts Academies. There, she has overseen the classical education of more than 13,000 students and 29 schools in Arizona and Texas. Some 98% of graduates of Great Hearts graduates go on to college and university. In her appointment, Great Hearts Chairman and co-founder Jay Heiler said , “Christine Jones has the gifts, the background, the dedication and the knowledge of our organization to advance this process as our interim chief executive.” The January, 2016 Niche rankings recognized Chandler Preparatory Academy as the top performing school in Arizona. While at GoDaddy, Jones pushed for legislation to protect children from online predators and stopping the sale of drugs by illegal online pharmacies. She has testified before congressional committees on several occasions regarding internet threats and illegal activities. On cultural issues, Christine Jones has proven herself conservative on such issues as religious freedom, traditional marriage and protecting the sanctity of life. She identifies as an evangelical Christian and is active in her church. She is an ardent and fierce defender of the US Constitution, the Second Amendment and eliminating Common Core. Should Christine Jones enter the race for CD-5, it will certainly stir up the dynamics of the race. The east valley which is considered by political experts as a stronghold for Mormon candidates, has never elected a woman to congress. Since statehood, Arizona has only sent six women to the US House of Representatives with Martha McSally being the only Republican woman elected in Arizona. (Republican women represent only 5% of the current US House.) The election of Christine Jones in the east valley would set a precedent and hopefully reinvigorate efforts to elect more Republican women to Congress. Jones will likely make an announcement very soon as urgency increases to collect petition signatures for the August ballot. Her opponents should not underestimate her ability to change the entire formula of winning in east valley politics given her tested campaign experience, her ability to communicate conservative values and voters’ anger to overthrow a system of politics as usual. Christine Jones has challenged and overcome the status quo throughout her life. Winning the 5th congressional district may very well be her next victory. 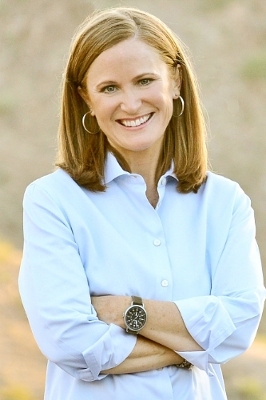 Be the first to comment on "Christine Jones – Right for Congress"